Is Pathfinder Right For Me? A Pathfinder course is distinct from classic expeditions in several ways that are important to consider before you decide to sign up. 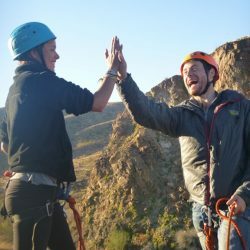 Pathfinder courses offer the adventure and curriculum of a classic Outward Bound experience inside a larger framework that is geared towards young adults facing the maelstrom of transition, burgeoning independence and identity formation. 1. You are between the ages of 18 and 25. The Pathfinder curriculum is designed to tackle the uncertainty many young adults face during a period of dramatic transition and growth by providing personal, educational and professional direction. Seniors in high school; recent high school graduates; gap year students; college students; college graduates; working humans and all types in-between learn the necessary skills for overcoming obstacles from their Instructors, each other and the environment. 2. You can commit to 30 days for a Pathfinder course. We recognize how challenging it is for many potential students to put their personal, educational and professional lives on pause for longer courses. If you have the ability to pause, the time is now! Seriously, this time you have to commit fully to yourself is precious. Use it wisely and profoundly. The sacrifices you make to get on a course can only highlight your dedication to yourself. 3. You are searching for a path. Maybe you just graduated high school (congratulations!) and want to ground yourself before tackling college or a job. Maybe you are a college student overwhelmed with possibilities and you want to align your path with your values and passions. Maybe you are a young adult curious how to live your best life. A Pathfinder course will not show you what to do, but it will give you the tools so you can forge ahead with confidence. 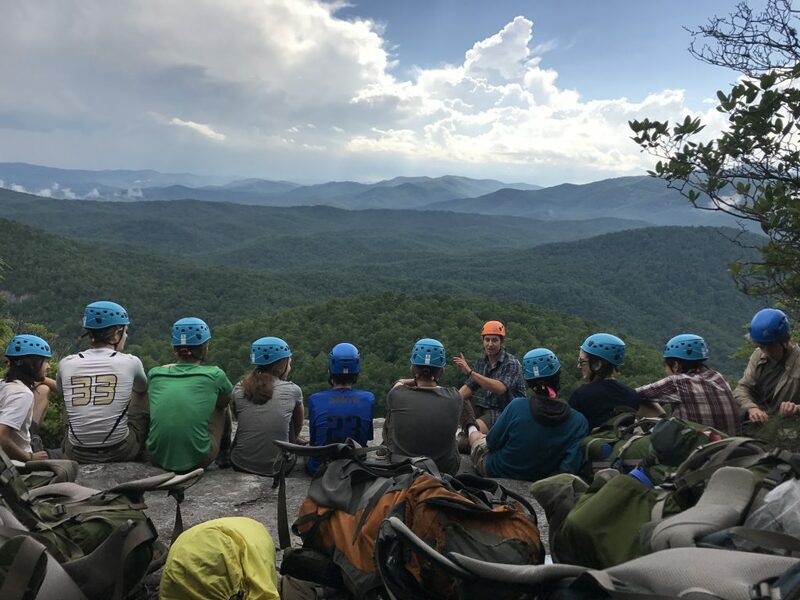 Outward Bound Instructor AJ Verkouw believes the purpose of a Pathfinder course is to “create momentum” for passions, ambitions and clarity, that students can carry forward after their course. 4. You are looking for an adventure. 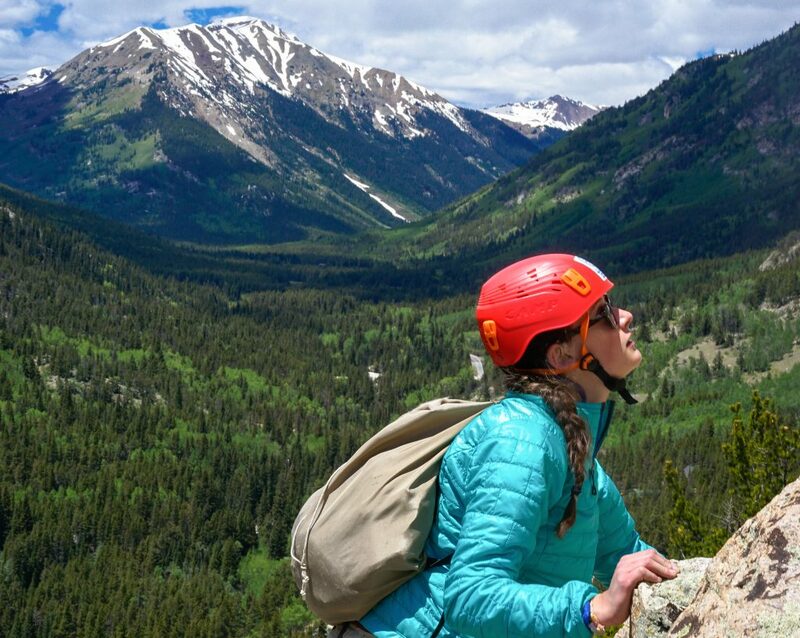 Don’t forget that at the root of Outward Bound’s educational model is experiential learning through the wilderness. Experiential learning means learning from the activity, the environment, and each other. 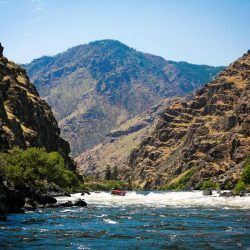 Whether you’re rafting in southern Utah, backpacking in Alaska, climbing in Joshua Tree, sailing around Maine—you’ll find the experiences of each day provide the most memorable and profound learnings. 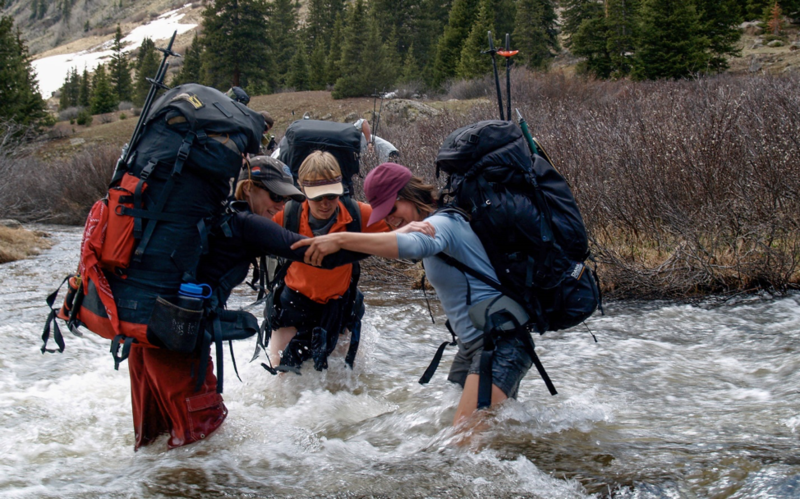 A year after your course, you might not remember the five Outward Bound tenets. But you will remember that wonderfully hellish day of rain where you led your crew eight miles through steep terrain, and then accidentally burned dinner for your group (they forgave you) and then to top it all off, you couldn’t sleep all night due to a flapping tent fly and a snoring friend…and that was the day you learned to lead with humor and humility. That is a day you’ll never forget. Consider signing up if you feel like you don’t have everything figured out. Learn the skills to pursue your values, strengths, and goals now so you can move through lifelong growing pains with grace and compassion instead of frustration and pride. If you feel like you do have everything figured out, consider signing up. Chances are you will have a ground-shaking, life-changing experience when you realize how much you still have to learn about yourself and others. 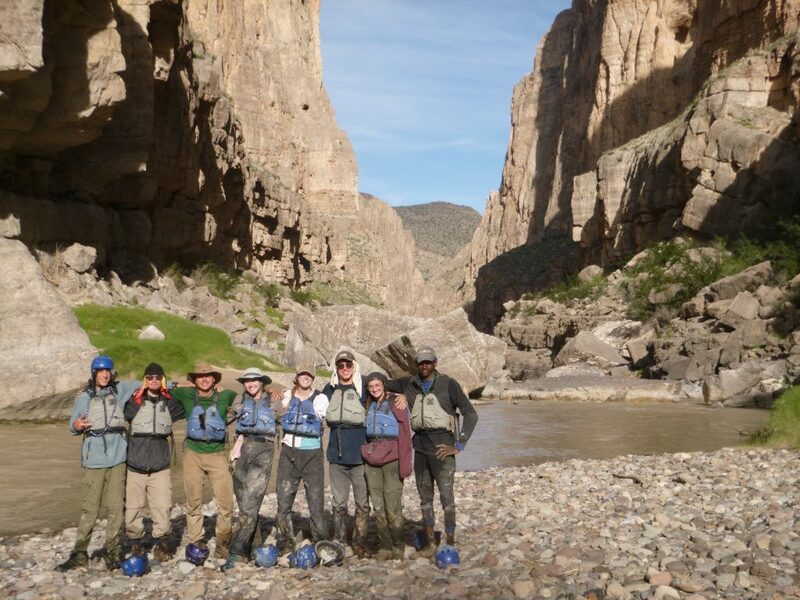 I had the honor of supporting the Pathfinder Southwest Rafting & Canyon Backpacking expedition as the Logistics Coordinator, where I packed food and gear and provided transportation between sections. The best part of my job happened at each transition point when my truck crunched to a stop in a cloud of dust and I stepped out to greet the students. Each time they were different. After the first week, they were grittier and more comfortable traveling and living in the outdoors. I saw a brightness in their eyes that wasn’t there before as they enjoyed the fresh fruit and treats I brought out of the backseat. After the second week, the differences were more subtle, but I noticed how they worked through conflict and exhaustion during dinner dishes with patience and compassion. After dinner, the Instructors led an evening meeting and the students shared goals they created for life after their course. The goals were thoughtful and multi-faceted, and even the shyest student shared with a vulnerability that can only be found in a space of mutual respect. I smiled because I knew the magic of the desert was working. By the course’s end, I saw freckled cheeks, stronger bodies, and resilient minds ready to charge confidently towards new and redefined pathways. These students made the most of their Pathfinder course. So, tell me…is Pathfinder right for you? 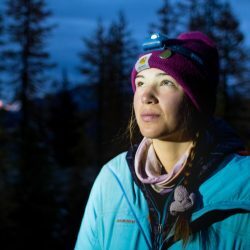 Sabrina Stein is an Assistant Instructor for the Northwest Outward Bound School and a Logistics Coordinator for the Colorado Outward Bound School Southwest Program. She is drawn to the tenacity of life in Southwestern deserts and the magic of rivers everywhere. Sabrina pursues rafting as a means to both, and for the added benefit of strong arms and a flexible mentality. Other hobbies include writing, reading, drinking coffee, getting haircuts, singing extremely loud in the car and source-to-sea rafting trips. She will bake you cookies if you hang out with her long enough. Thinking About a Gap Year? Read This First.